As Governor Greitens and the Missouri legislature continue to describe Missouri as a “judicial hellhole,” trial attorneys as “greedy,” and all civil lawsuits for injuries as “frivolous,” this is a good time to examine how tort reform will affect your small business. Firstly, what is tort reform? Tort reform is a phrase used by politicians to describe a change in laws that make it more difficult to bring or maintain lawsuits against a person or entity who has caused harm or injury to another through a negligent or intentional act. At first blush, this seems like a benefit for Missouri business in general. Otherwise, why would the Chamber of Commerce push for these legislative changes? However, as any good conservative, tea party member, or libertarian will tell you, there are plenty of unintended consequences when the government attempts to regulate any industry. The first issue I see with tort reform is how it will change the incentives of your insurance carrier. As a small business, you should have a general liability policy of insurance that covers things like customers falling on your property, employees getting injured on site (assuming you’re too small for work comp or are exempt), or automobile collisions on the clock (assuming you have a rider/endorsement on your liability policy for auto coverage, which is usually not included on a general policy). When an accident happens, your insurer has two obligations – to defend you and to indemnify you. However, in practice, insurers generally only care about how much money it will take to pay a claim and how much it will cost them to defend it. Tort reform causes a perverse incentive. The insurance company who represents you is now going to offer less money to an injured party due to the impending rule changes that make it more costly for injured parties to bring lawsuits. By acting on your behalf and offering what an injured party and their attorney would view as an unreasonable settlement offer, the insurer is increasing the odds that the injured party will file a lawsuit against you. The insurance company does not care that in Missouri any consumer can look on CaseNet (https://www.courts.mo.gov/casenet/base/welcome.do) and see how many times you have been sued, even though it should care. It should also care when the press takes that lawsuit and publishes a piece based on the allegations against you, and your insurer refuses to allow you to give your side of the story. Lastly, when these small lawsuits that should be settled quickly get strung out, it takes a toll on all business owners. Between depositions, hearings, and trial, a lawsuit can emotionally drain any defendant. 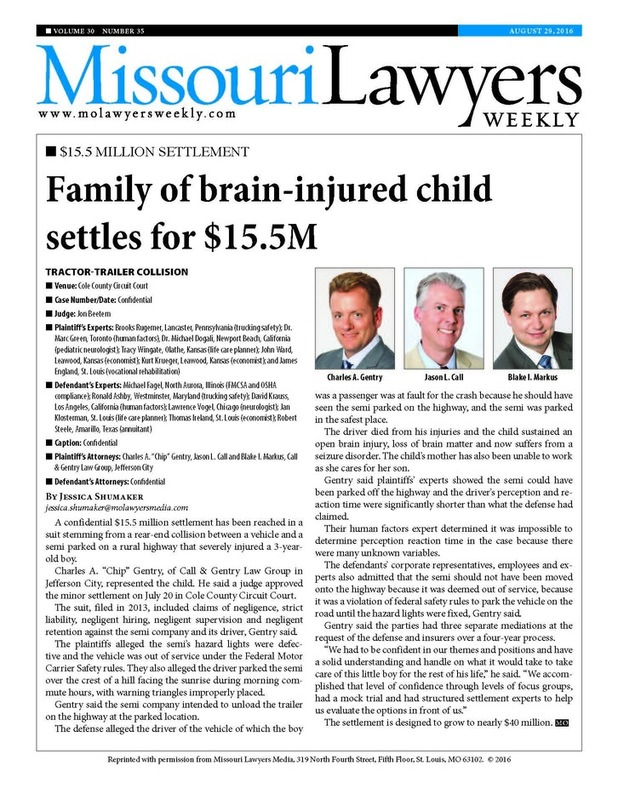 It is clear from the bills being offered this year in the Missouri legislature that our representatives and senators only have in mind the interests of the insurance carriers and large businesses who can afford to drag out cases. We put conservatives in office so the government would stay out of our industries, not meddle with them and create more regulations. For some reason, they think this does not apply to small businesses and injured citizens.